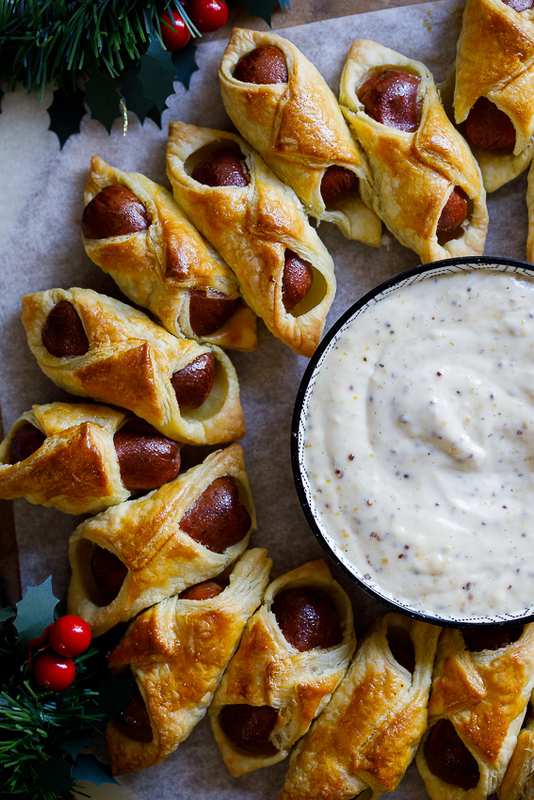 Give the classic pigs in a blanket a bit of Christmas cheer by baking them in a wreath and serving them with a delectable maple-mustard dipping sauce. Ok, so maybe Christmas isn’t on your mind yet but it is most definitely on mine and I can’t help but spread the cheer. Around this time of the year, I get super excited as things start wrapping up and we get closer to my most favourite holiday, Christmas! This year, that cheer started even earlier and as I type this, I’ve already made up most of the house and the Christmas tree is all decorated. I know, it might sound crazy but I just can’t get enough Christmas. And since food is SUCH a big part of Christmas, I start thinking about everything I can serve or bring to the many holiday parties happening around this time of the year. 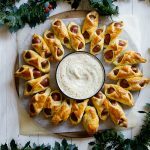 This pigs in a blanket wreath with its totally drool-worthy dipping sauce is all kinds of amazing. 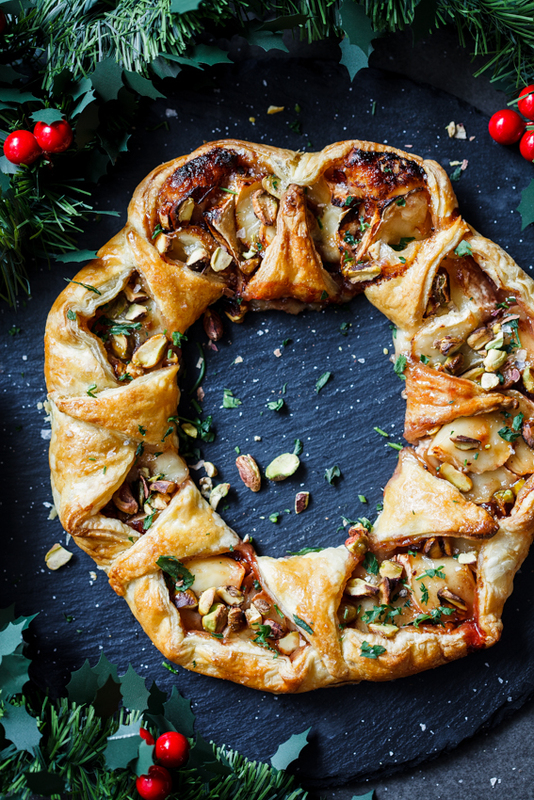 Not only is it a classic appetizer that EVERYONE loves, it’s also baked in an adorable wreath which gives me all the excited Christmas feels. The dipping sauce is a super simple throw-together kinda thing and can be adjusted depending on your taste. 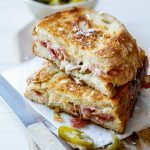 You could even add a few dashes of hot sauce to spice things up a little. Egg wash all the pigs in a blanket then place in the oven and allow to bake for 20 minutes until golden brown and until the pastry is cooked through. In the meantime, mix together all the dipping sauce ingredients and transfer to your serving bowl of choice. Remove the pigs in a blanket wreath from the oven and place the bowl of sauce in the middle. 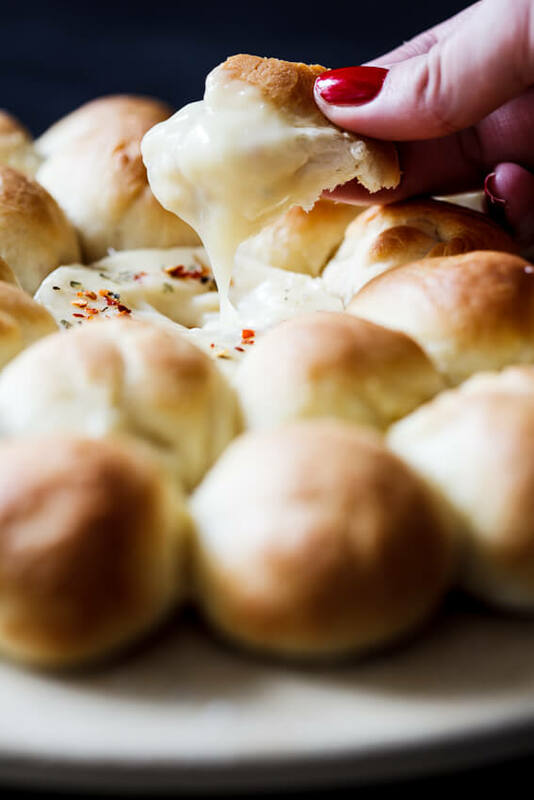 Can these be made ahead of time and frozen for a few days? 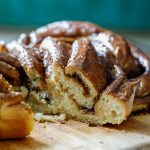 I want to make them for Thanksgiving, but may not have time on that day. Absolutely, just assemble and cover tightly then freeze in a single layer. Bake from frozen. I have to say, the pigs in a blanket recipe was delicious! The maple “mustard” dipping sauce, not so much. Should change the name of that to maple MAYO dipping sauce. The mayonnaise overpowered all the other ingredients, and I had to throw it out…even after adding 5 or 6 times the amount of mustards that the recipe calls for. If you’re not absolutely in love with dipping hot dogs in mayonnaise, don’t make that recipe. Sorry. I’m so sorry you didn’t like the sauce Christina. Could it be that the brand of mayo you used was stronger in flavour? I was actually quite nervous that the mustard and honey would be too strong in the dip. 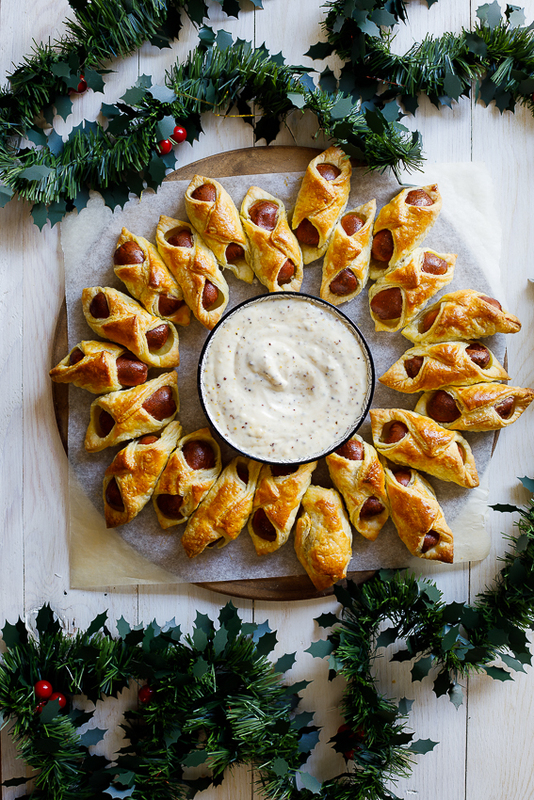 How sweet is this pigs in a blanket idea? I love the sauce – what a clever idea to give it an upscale spin. I will try a few different sausages from our local butcher and voila, deliciousness abound! Love the videos by the way. Thanks Cindy! I love the idea of using different sausages! All I can say is thank God we don’t live closer Alida, because I think my husband would leave me for you!! This is totally up his alley, as is all the food you share here! Delicious!